As Alibaba claims its place as one of the world’s leading digital companies, one of its oldest and most important services, Alipay, continues to grow at a very impressive clip. 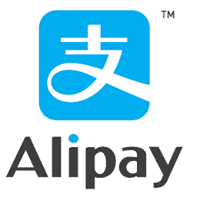 In case you aren’t familiar with Alipay, it is an eleven year old online payment service (think: Paypal) that is based in China. Here are some of the more impressive Alipay statistics I’ve been able to dig up recently. As always, be sure to check back in the future as I will be updating this post as new and updated stats become available. Report 1: Alibaba Properties Report (Alibaba, Alipay, Tmall and Taobao). Report 4: ePay Companies Report (Alipay, Android, Apple, PayPal, Paytm, Samsung and Square). 15 Interesting AliExpress Statistics and Facts (2019) | By the Numbers Updated for 2019. Here is a comprehensive list of all the AliExpress statistics you need to know including user totals and much more. 10 Interesting Klarna Statistics and Facts (2019) | By the Numbers Updated for October 2018. Here are the most interesting Klarna statistics I was able to dig up including number users, merchants and more!